Fidgety, she got up and walked past pictures of both them on the way to the kitchen. She absently opened the pots checking the already cool ogbono soup, his favourite and her specialty. She frowned as she thought of how she had been making all his favourites of recent; just as often as she confronted him for his late nights. Some headlights flashed across her face from the kitchen windows. She leaned forward to see the gate through the mosquito-netted window. The gate man did not leave his sedentary post so she knew Dotun had not come. She momentarily considered warming up the soup but decided not to so it would not taste burnt. She had a look at the time again in the sitting room. It was just a quarter past 10. She sighed as she picked up her Interior Decoration magazines. The Abayomi’s 70th birthday party was 2 weeks away and she wanted to finalize the list of things she would need to decorate the hall. Dotun had been the one to push her to start her event and interior decoration business. He had paid for the training, put up the capital and even opened up his contact list for her to get clients. He said he wanted her to keep busy so she wouldn’t worry about him so much. It had worked for a while, when she worked so hard on impressing his friends. Now she was a household name with the event planning companies, judging by the amount of referrals she had gotten. She had even surprised herself with the designs she came up with; to think she had been a house wife and home maker all these years. She remembered the day he came for one of the bigger events she had managed, he had looked around in amazement at the champagne and peach coloured wonderland and said he was so proud of her. She admitted to herself she was more driven to impress him than anything else, she always invited him to all her events. A momentary reawakening washed over her. She felt stupid smiling at herself behind a magazine in an empty house. It was 10:32 now. Some months ago she had complained that he worked too hard and he started coming home early and bringing the office with him. But now she knew it wasn’t work. She smiled worriedly to herself wondering if she should have a drink. Her phone rang. It was Millicent Abayomi, her good friend as well as client who was throwing the birthday party for her husband. Millicent was telling her about her last daughter Tina who had come back from overseas. She had been in Nigeria for a while to do some work and would come for her father’s party. Millicent was so excited. Damilola said ‘really’ and ‘hmmm’ed at the right places. When the call ended she lay down on the couch to watch Nkem Owoh. By past 11pm she heard the distinct sound of the gate opening. She quickly turned the lights low and turned the TV off. She lay down once more on the couch and pretended to sleep. She heard him talking outside. He was on the phone. It was all muffled. Then silence, his key opened the back door and she almost didn’t hear his footfalls as he entered. She imagined the back door close silently. He was definitely sneaking. She heard him speak in an undertone. This time she heard enunciations. “But you know… Soon… Yea, am in the house now… Yea, me too… Tomorrow ” Silence. She didn’t hear him anymore and wondered what was happening. She pretended to stir and awaken and looked directly at him. He was tiptoeing past the sitting room with his shoes in his hands. It was almost comical the way he froze mid-creep like a cat-burglar. “It’s late,” she said but she worried how accusatory that sounded. “Am sorry. There was traffic…” he tried to explain. “Your phones were off,” she cut him off. She felt like a broken record. Hadn’t she said that yesterday? She stood up and folded her arms. “I told you to send me a text letting me know before you leave work that you are going to be late,” she glared at him. He pretended to sulk. “Pleeeeeease?” He then continued with the pet names he had invented for her over the years. breath and went cold inside. It was worse than the smell of alcohol. “Mi Lady, it’s late. Let’s get to bed,” Dotun said tiredly. “No-no!” he said hurriedly knowing she hated local food restaurants. “After all that traffic you must be starved…” she said to him softening. “Or did you eat?” she asked looking directly at him. “Good, I made your favourite!” she smiled and entered the kitchen. It was priceless seeing him unsuccessfully disguise his pained look as he saw what she had prepared. It served him right for eating Ogbono soup from another woman outside their home. “No, we can do that soon… Relax! Of course! I … you too.” She had strained to hear what he said properly and cursed the soapy glass that slipped and crashed to the floor. What had he said? Miss? Love? Who was she and how far along had they gotten? She had so many questions. “My friend! Relax. It’s no time to be moody!” It was Millicent. Well into her sixties she was still as agile and playful as she loved to talk. She was really excited as the party for her husband was partly a surprise party. He thought it was just a family get together but all his close friends and colleagues were expected. Millicent pulled her into the private backroom prepared for immediate family and they waited for the party to start. Damilola, in the quiet there, told of her fears about Dotun and the other woman. Millicent laughed her fears away and gave her advice on how to handle it. She then changed the topic and started talking about Tina. She complained that it had been hard convincing her to come down to Nigeria for the party but she eventually came but brought work with her so they hardly saw her. “But she’s still a good girl. She cooked soup for us the week before last. Can you imagine that?! She still remembers how you taught her to do it! Do you remember? Your specialty,” Damilola vaguely remembered a scrawny girl she had given some cooking lessons to some years back. By the time the rest of Millicent’s children had arrived Damilola felt she had known Tina for the whole time she had been away. Soon Mr Abayomi arrived, it was clearly conveyed to all guests that yelling ‘Surprise!’ would be suspended because of his age. Instead an Afro juju Band would sing in his honour and he would be accompanied to the high table by a talking drum. Mr Abayomi was more agile than his age suggested, he danced in a circle around the hall then to the high table and the MC got the party underway. There was music, dancing and comedy and soon presentations from the immediate family started. Millicent invited Damilola to stay beside her on the high table. Damilola searched in vain for Dotun. “Why are you so tense Dami? Relax,” Millicent said to her. “Dotun is late.” Damilola replied. “Oh, so is my Tina. I hope she makes it for her presentation. She has been late for everything since she came back to Nigeria. ” Millicent said worriedly. Damilola tried to relax and laugh at the speeches of Millicent’s other children. “There’s Tina finally!” Millicent exclaimed. Damilola turned and saw Dotun coming towards her. He was late. She showed her displeasure by giving him a poor reception. “Mi lady,” he started with the usual sweet words but she was not having any of it. He took a chair beside her and they had a whispered conversation. “I’m tired of all this Dotun! You are always late, you don’t call and you have started staying overnight God knows where!” she was hurt, she missed her husband. He patiently tried to pacify her, putting his arm around her. “There is a woman.” She said matter-of-factly, looking away at the last child, Tina, as she took the microphone from the MC. Tina was now a very beautiful woman. 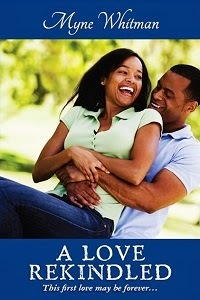 From all she had heard Damilola knew she would make a good wife to a special man. “Yes,” he replied. She hadn’t known when she held her breath. She released it. “And?” she asked still looking at Tina but not hearing her. “I do?” Damilola was shocked. She stared at him. He was looking at Tina. “Yes Mom. You do.” Damilola thought of Millicent’s advice. If he finds a good girl it’s time to let him go. “Tina keeps telling me about how you taught her to make Ogbono soup so long ago.” Damilola knew she would take Millicent’s advice when Tina came to kneel in greeting before her. If only her husband, Dotun’s father were alive to see this day. Their son had finally found a wife. Published as Love and Let go on Naijastories.com. Check out other stories by Annabella.